Madeira is a warm, wet and mountainous group of islands in the Atlantic. 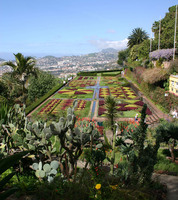 This allows gardens to flourish and, because of the unusual conditions, including high winds, it is possible to speak of a Madeiran garden, even though few examples exist. 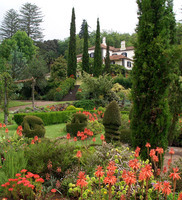 In addition to these Madeira Garden Finder entries, please see Garden Tours in Portugal for information on tours, self-guided visits tailor-made tours and gardens open to the public in Madeira.